Gutter Saws will not grab or twist gutter material. 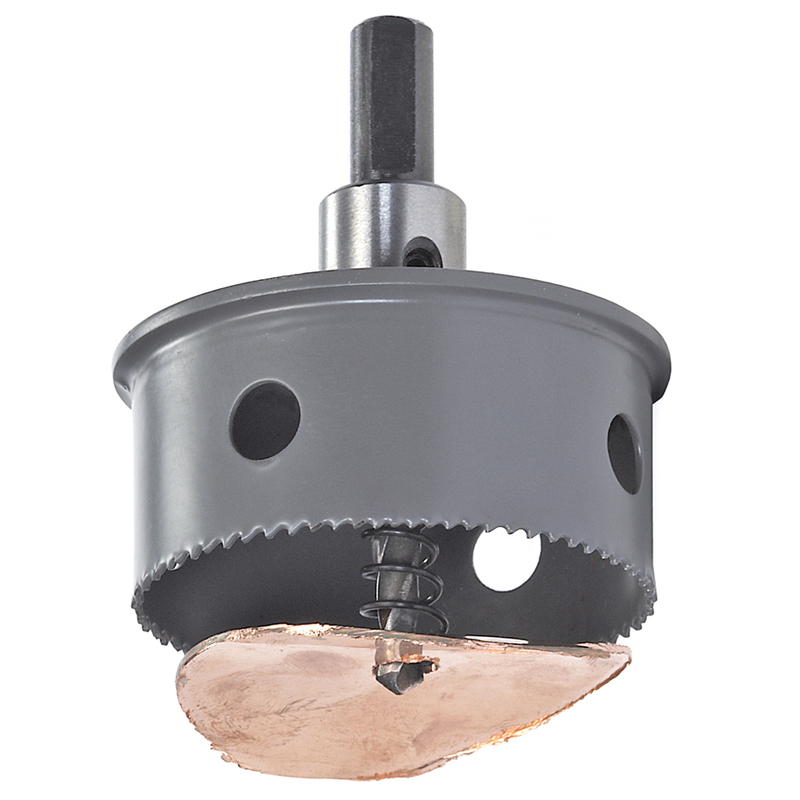 High speed steel teeth 10 per inch plus shallow cup and short pilot drill projection ensure control. Hole slug will not hang up in saw cup. A tapered compression spring collar on the combination Arbor / Pilot Drill Bit. automatically ejects the metal slug. 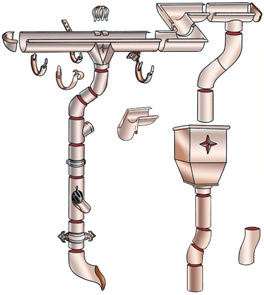 Drop and Downspout fit snug and flush. Saw produces clean cut edge and distortion free hole. 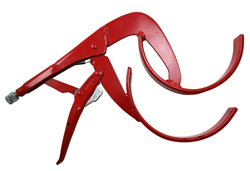 Used for roof mounted hangers, this hanger bending tool easily bends copper gutter hangers to the perfect pitch for your roof. Gutter clamp securely holds two pieces of overlapped half round gutter for soldering and riveting. Gutter clamps are a perfect fit for our gutter profile. Cleans and polishes brass, bronze, and copper. Perfect for removing unwanted finger prints and oxidation. 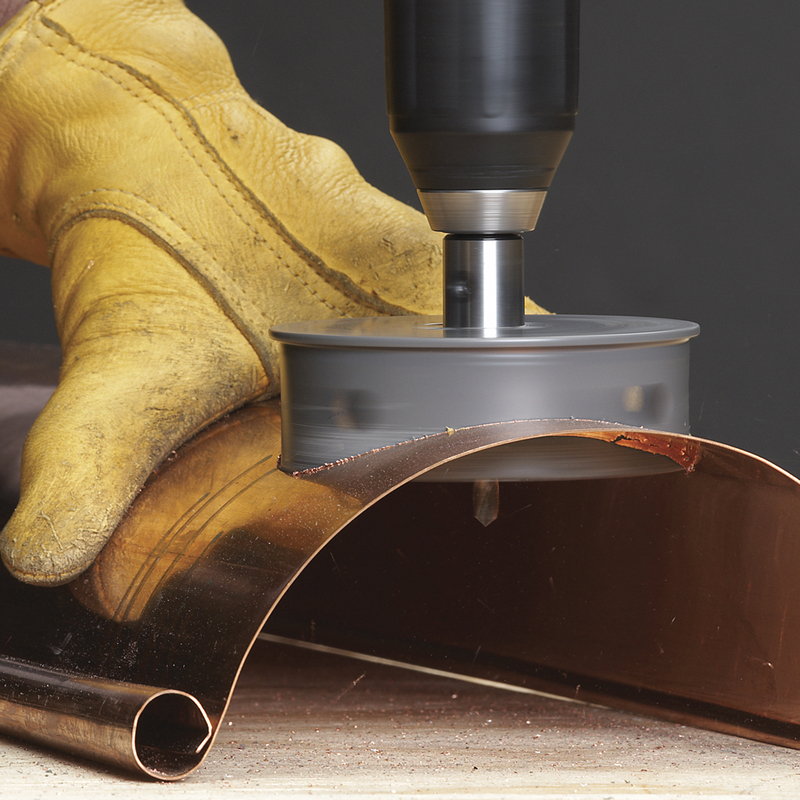 Weiman's metal polish will make your copper look perfect. 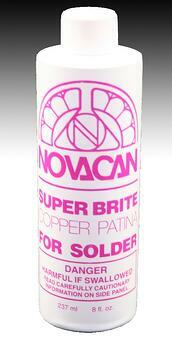 Prevents Patina from forming on copper. Interior / exterior clear gloss. 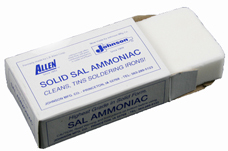 Formulated to protect and preserve copper, brass, and bronze. 1 can will cover 10 Sq. Ft. Copper Shield® protects against patina for up to 5 years. It must be reapplied to keep copper looking new throughout the years. "Copper Shield" spray coating is specially formulated for use on copper, and will actually enhances the natural beauty of new copper. It does not contain substances that can react chemically with copper. 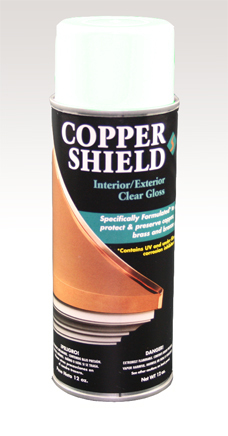 Copper Shield® is crystal clear, and formulated from a blend of acrylic resins and UV inhibitors specifically designed to prevent darkening due to sunlight exposure, and an agent to prevent corrosion from occurring underneath the paint. Normal clear enamel or lacquer paints will not prevent the aging of copper.